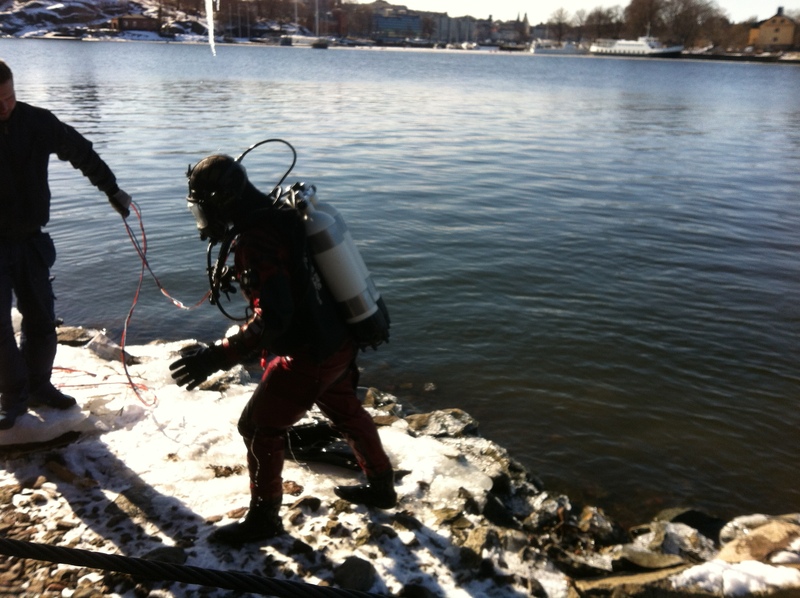 On Thursday 21st, we sneak started the International World Water Day with a dive outside the water museum Aquaria located on Djurgården, in central Stockholm. The sun was shining from a clear blue sky and the water was almost three degrees Celsius. Ideal for a dive. The audience was a primary school class of around thirty VERY interested young children. In order for them to experience what I do, I had kitted up my full-face mask with both a wireless talk communication (Buddy Phone) up to the surface, and an underwater filmcamera, connected by hose to a large TV-screen. The camera was kindly lent to us by SVENTAB. Thank you! 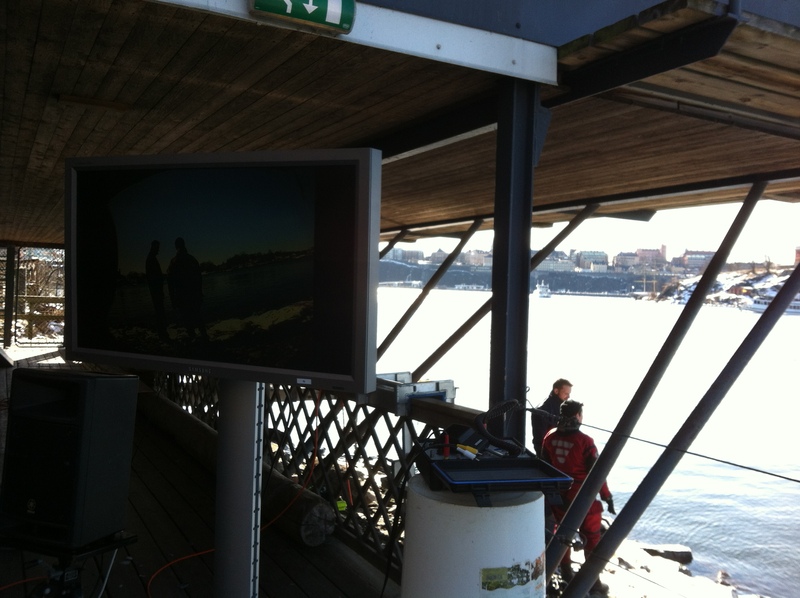 P4 Radio Stockholm was on location and broadcasted live from shore (in Swedish). A lot of people seemed to think it was madness getting into the water at this time of year. But with a good dry suit (I dive with Ursuit Red-Q and SiTech ring system for dry gloves) and a full face mask, I don’t get as much as a drop of water on me. I was probably the warmest one of all that day. Underneath my drysuit, I wear a thin wool underwear and then a Fourth Element fleec underwear over. Very toasty! Lena Kautsky managed the surface end of the Buddy Phone and passed on questions from the children. She also told them about how seaweed function like forrests of the sea. During the dive, I found a lot of beer cans an bottles, seaweed and a treasure chest full of candy!! This entry was posted in News and tagged 2013 Water Year, Aquaria, Baltic Sea, diver, diving, dry suit, Fucus, Lena Kautsky, macroalgae, seaweed, winter, World Water Day. Bookmark the permalink.